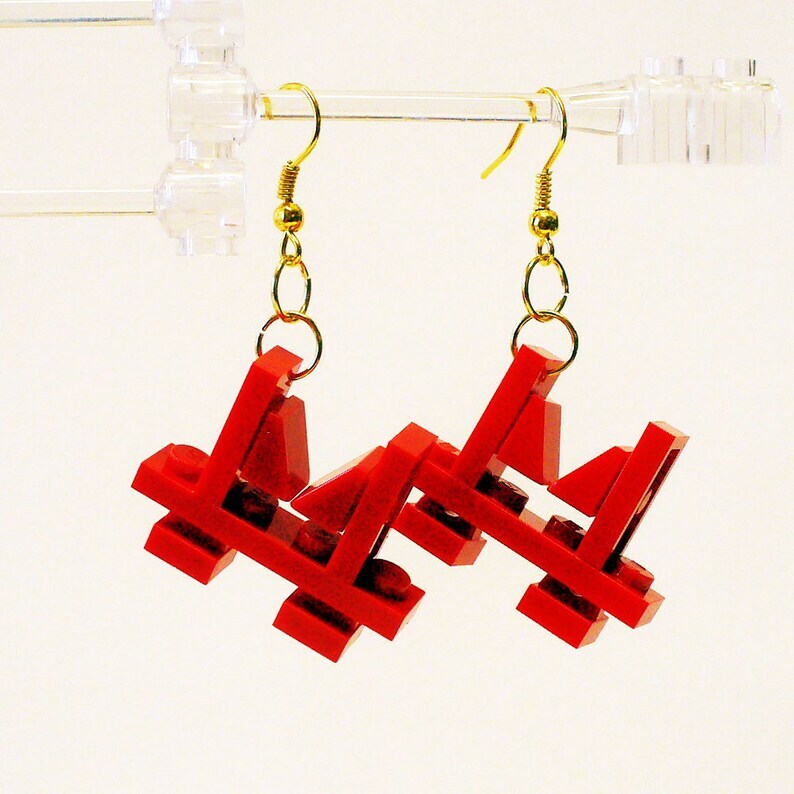 Live the Californian lifestyle with these snazzy Mini Golden Gate Bridge earrings made from LEGO® elements. At only an inch in size they are cute, fun and unique. Please specify if you want Silver or Gold earrings.